Apple’s iPad -it was released in America last month and got into the big news in Japan too, although it’s not released here yet. 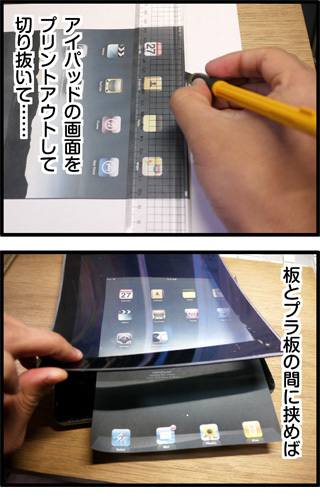 I read this blog written by a Japanese blogger who wanted iPad but couldn’t get it, so he made one himself. Because his post was really funny, let me share it with you. It’s manga style with Japanese description but I added English as much as I can. This blogger originally thought “who would buy such big iPhone?” when it was first released in US. But while watching the news about it, he started wanting it so bad he could taste it; he even had dream of iPad. Since he couldn’t wait till the Japanese release day, he decided to make one himself. to buy some materials to make iPad. Was he going to make iPad with this board? 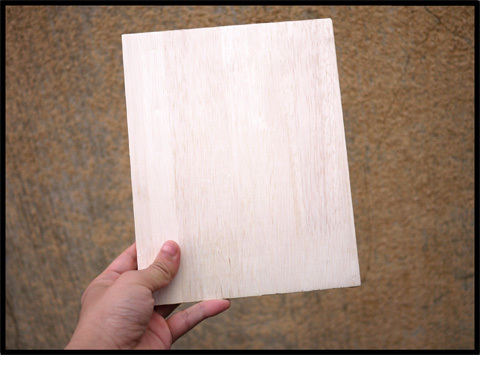 He cut the board as the same size as an iPad, and sanded the sharp corners. It took outrageously long time but he made it nicely rounded. On the backside, he masked off the apple mark and sprayed over it. And wait for it to get dried. Meanwhile, he painted a plastic board to make the touch panel display. By the time he finished it, the backside dried and the apple mark appeared beautifully! Next, he painted the front part silver, and attached the panel on it. Lastly, he made the screen. By changing the print, you can display a keyboard too. It does look like the real iPad! The blogger started feeling that the wooden iPad looked cool. 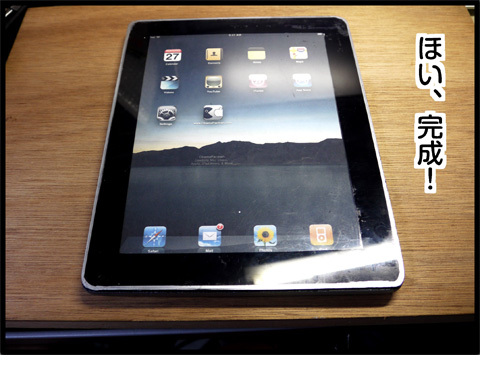 He heard that there is a real iPad in his office, so he compared two. The difference of the textures is clear. Comparing the two more closely. – Bigger screen than iPhone. – No internet browser but you can read printed website. – No iBook but you can read a page if you tear the page out. – It can be used to press a flower. – During a break time, you can enjoy it as a Frisbee. After all, the blogger is satisfied with his iPad which came out better than he had imagined. But he concluded that he would buy the actual iPad immediately when it comes out. 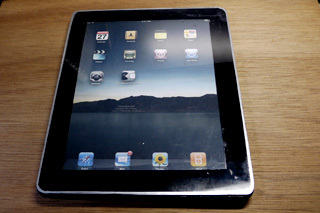 By the way, is there anyone who already has iPad? This is the JAPAN Style! I want to be unique… do not want to be one of them! 3 in 4 wives Took Little Revenge on Their Hubby? What can be the Trigger…? ?